“We stand for America, and we stand against walls,” said Beto O’Rourke. President Donald Trump marched into El Paso Monday night, ready to go to battle on the border wall and against an emerging foe. But just moments before Trump took the stage, congressional negotiators cut a deal that cut him out. And the foe whose hometown he was in was leading El Paso as it marched back at an outdoor rally just down the road. 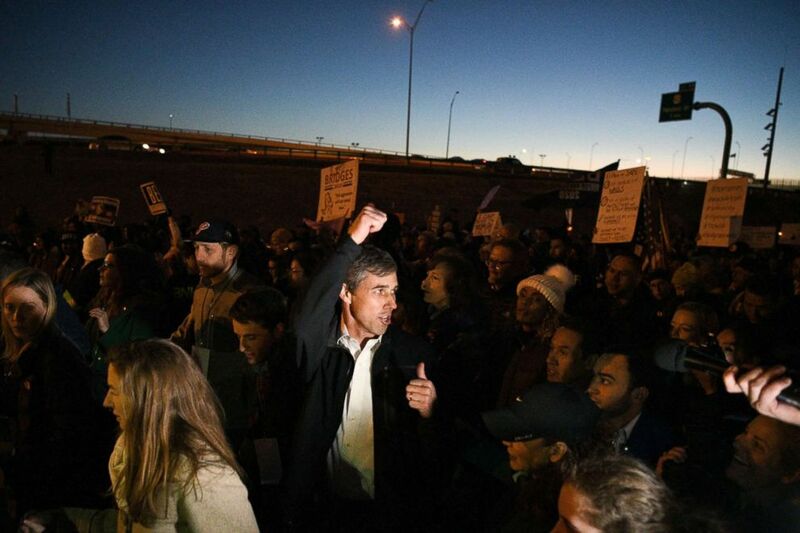 “We stand for America, and we stand against walls,” said Beto O’Rourke, who was until six weeks ago a congressman from El Paso. The president’s first campaign rally of 2019 offered potential lessons surrounding the realities of 2020. The crowd chanted “Lock her up,” and Trump railed against the “Green New Deal” and a supposed Democratic abortion plan to “execute the baby.” But his was not the only voice of the evening. Of course, O’Rourke may not run at all. But while Trump tries to choose and define his enemies, he won’t be the only show in town. Tuesday, the House Natural Resources Committee, controlled by Democrats, will continue a series of investigations into the effects of climate change as the party looks to set its own counter agenda that is distinct from the GOP. 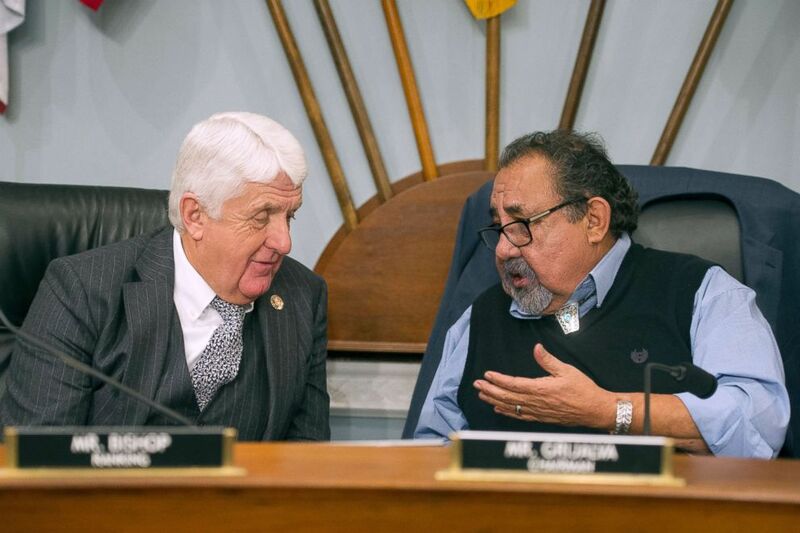 (Cliff Owen/AP) House Natural Resources Committee Chairman Raul Grijalva, right, talks with Ranking Member Rob Bishop during the committee's hearing on climate change on Capitol Hill in Washington, Feb. 6, 2019. One of Tuesday’s hearings will specifically examine the impact on tribal communities. The hearing comes one day after a group of Democrats introduced a bill that would flatly overturn a rider Republicans included in their tax reform legislation mandating the Arctic National Refuge Coastal Plain be opened up for oil and gas exploration and drilling. Opponents of potential drilling in the area have long argued any development could threaten the food security and rights of local native people. Trump has often applauded the possibility of drilling in the refuge as a major win for his party, so while the Republican-controlled Senate will like gawk at the House bill, putting the topic back in the limelight sets up discussion during the 2020 campaign. The Bureau of Land Management has continued to solicit public comment about the oil development plans at meetings in Alaska over the last few weeks. The next public comment session in the nation's capital is slated for Wednesday. The Iowa caucuses, but virtual: it’s a hypothetical that is set to become a reality for Iowa Democrats in 2020. The party announced this week that they will be holding six “virtual caucuses” for those unable to participate in the process in person. It is the most significant change to the state’s nominating process in decades. And it begins to answer the main critiques of the caucusing process: that it is cumbersome, time-consuming and generally dissuades people from participating in the -- small-d -- democratic process, especially those with disabilities or conflicting work and travel schedules. 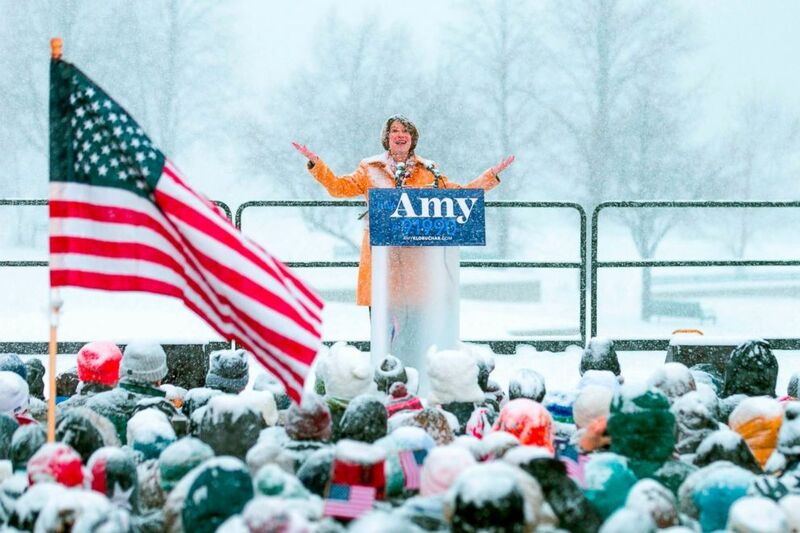 (Kerem Yucel/AFP/Getty Images) Senator Amy Klobuchar announces her candidacy for president during a snow fall, Feb. 10, 2019, in Minneapolis, Minnesota. A “virtual caucus” is a novel concept bound to have kinks, but it is a step in the right direction, even though the overall system it takes place in remains a procedural quagmire that needs further reform. The question now becomes, how will Democratic contenders take advantage of this new system and the opportunities it presents to reach voters who have never participated in a caucus before? President Donald Trump hosts a cabinet meeting at 11:30 a.m. in Washington. Later, he meets with the Governor of New York at 2:15 p.m. in the Oval Office. Vice President Mike Pence departs Washington en route to Warsaw, Poland. Presidential candidate and former U.S. Rep. John Delaney attends the ‘Politics and Eggs,’ breakfast, three meet-and-greets and two roundtables in New Hampshire on Tuesday. A motorcade carrying the casket of the late U.S. Rep. John Dingell drives past the U.S. Capitol at 4 p.m. in Washington for a public viewing. Former U.S. Attorney General Eric Holder speaks at The Harkin Institute for Public Policy and Citizen Engagement at Drake University at 7 p.m. (CST) in Des Moines, Iowa. Howard Schultz, former Starbucks CEO and author of "From The Ground Up: A Journey To Reimagine The Promise Of America,” takes questions from voters at 10 p.m. during a CNN Town Hall in Houston.